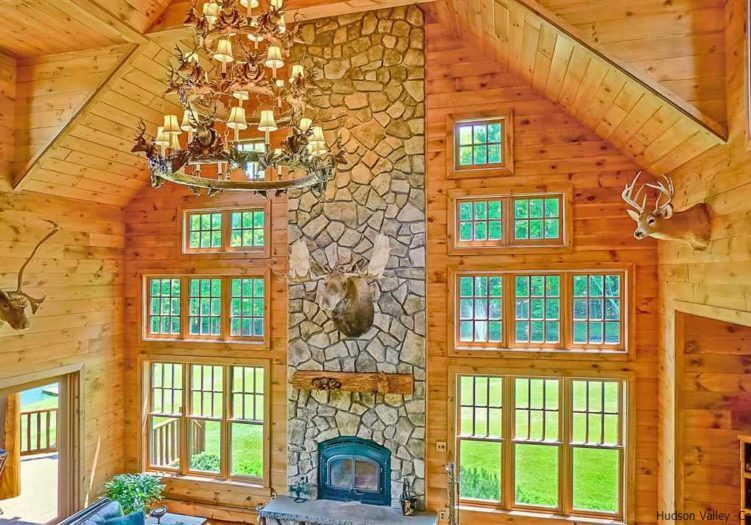 Custom built doesn't even come close to describing this home. 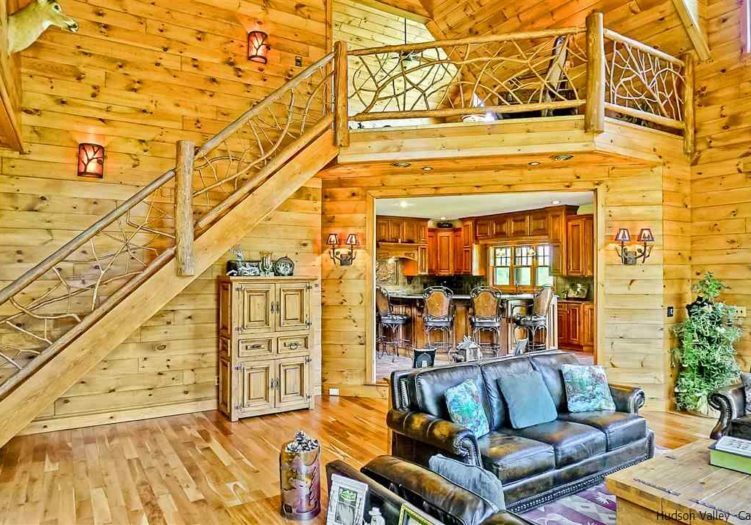 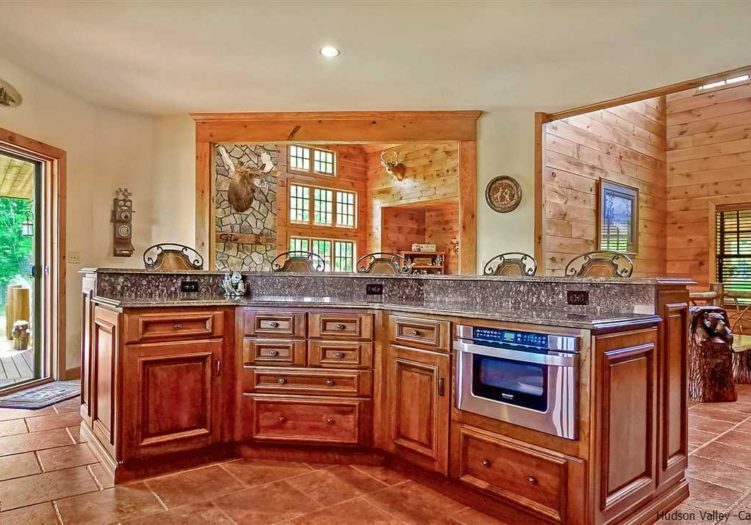 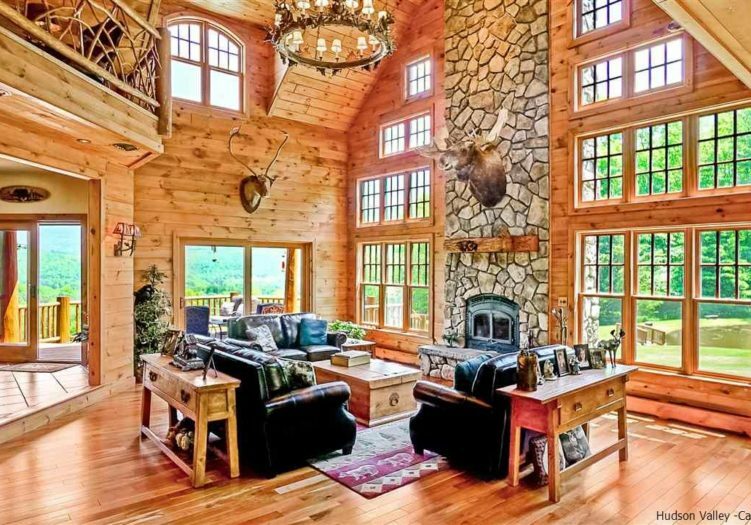 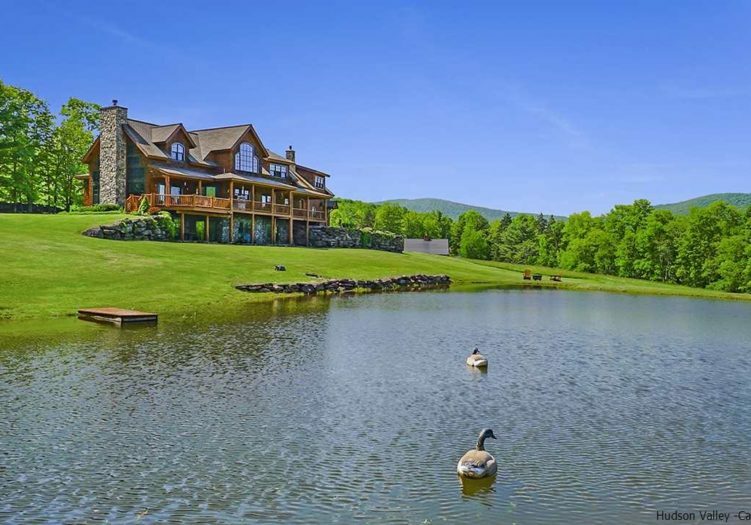 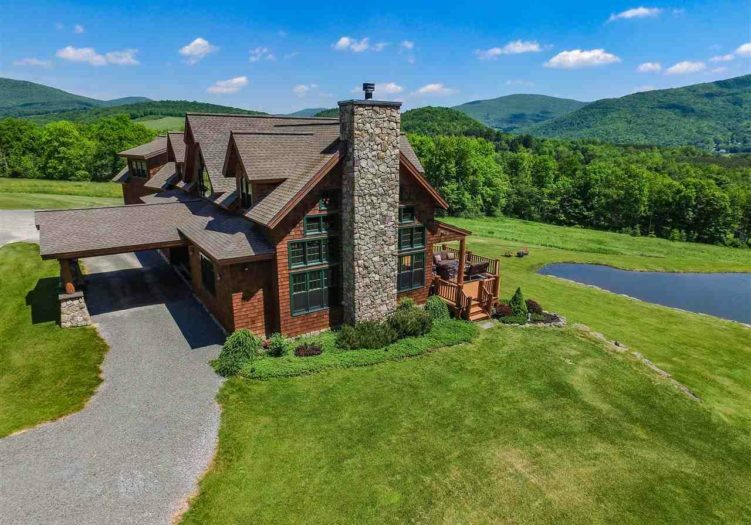 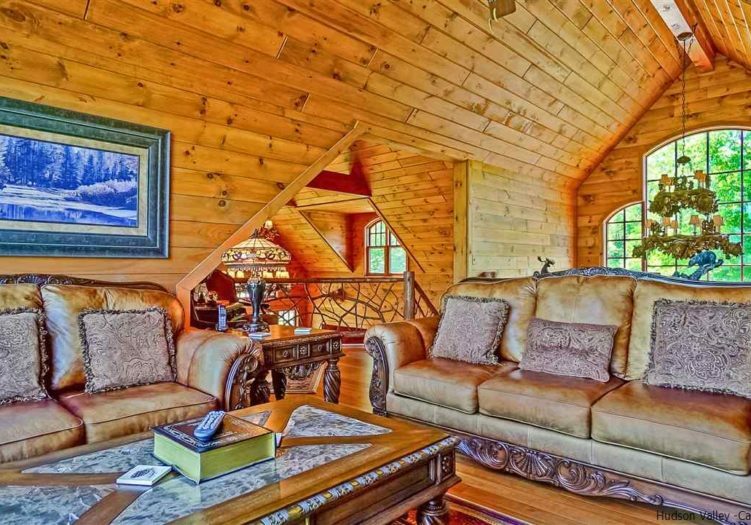 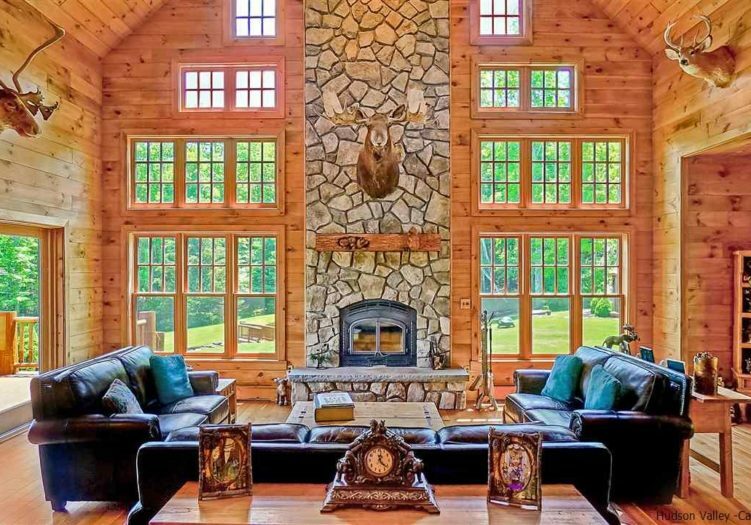 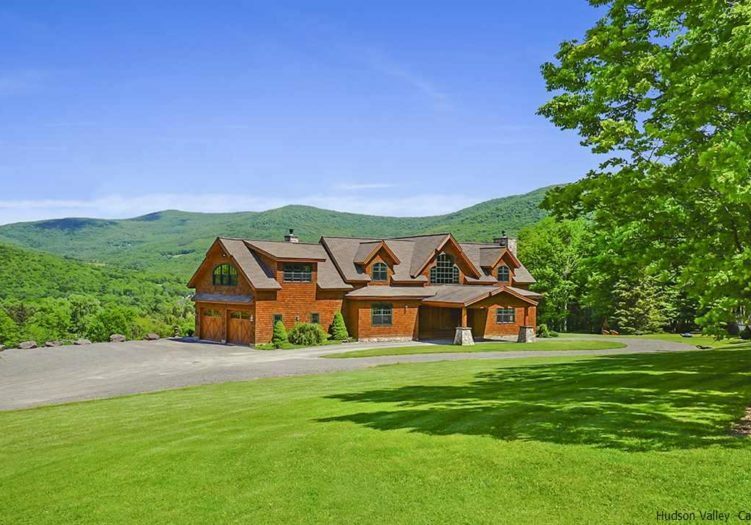 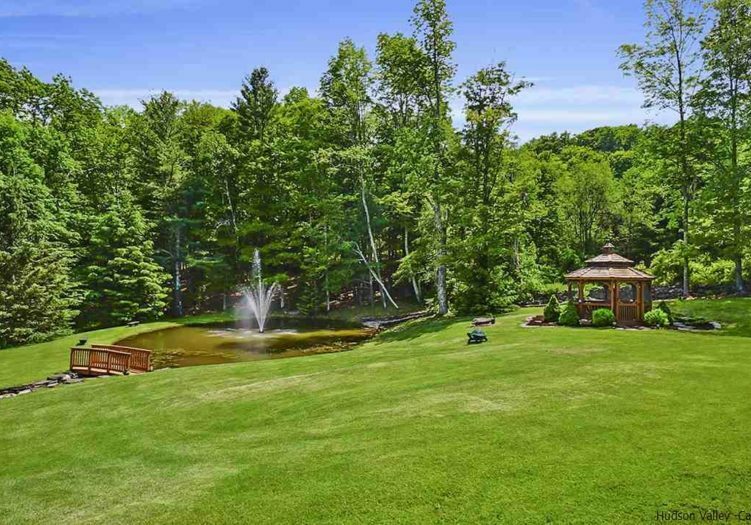 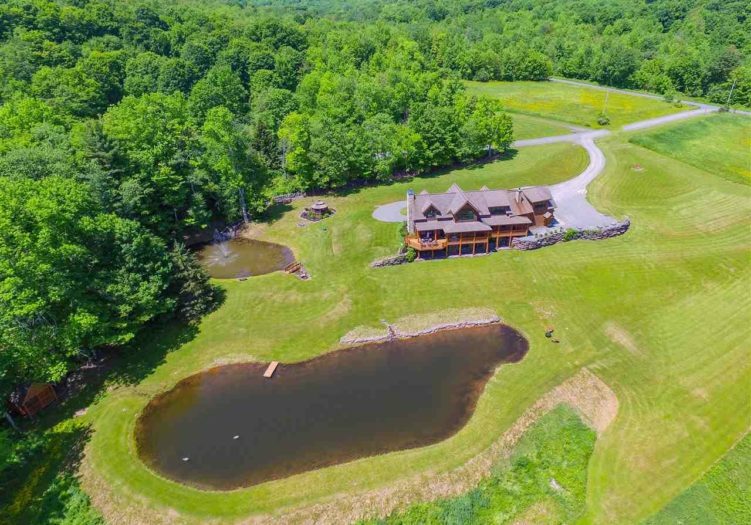 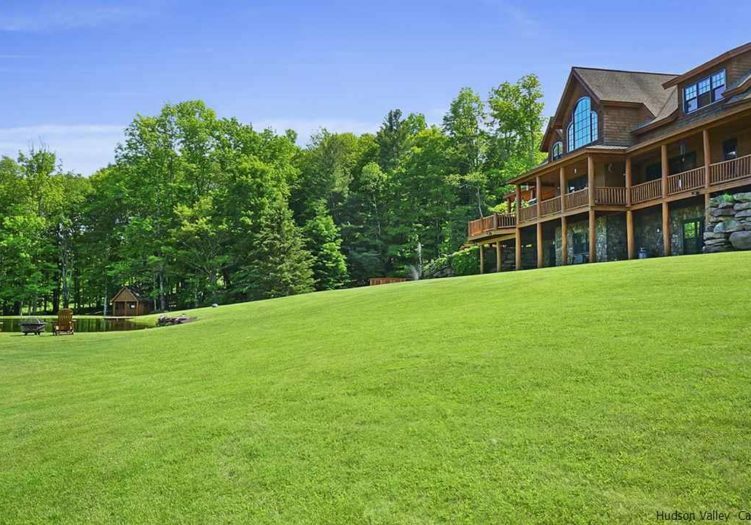 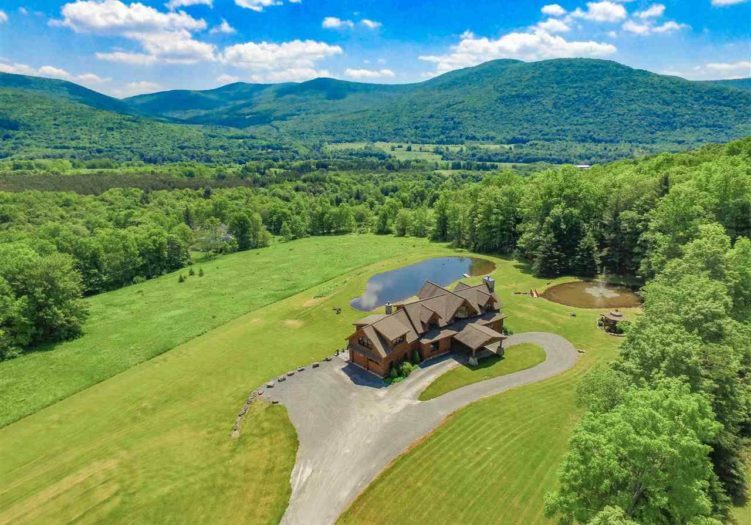 This soaring 5000sqft Adirondack style home is a sight to behold both inside and out. 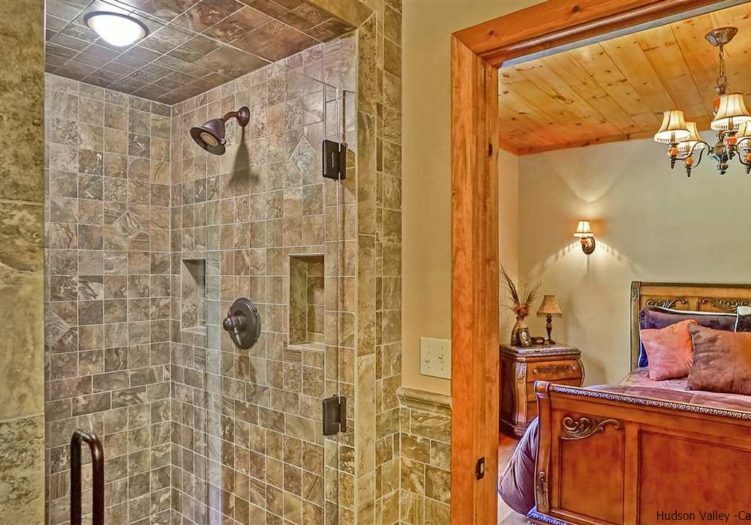 The condition of this home can only be described as immaculate, and in almost brand-new condition. 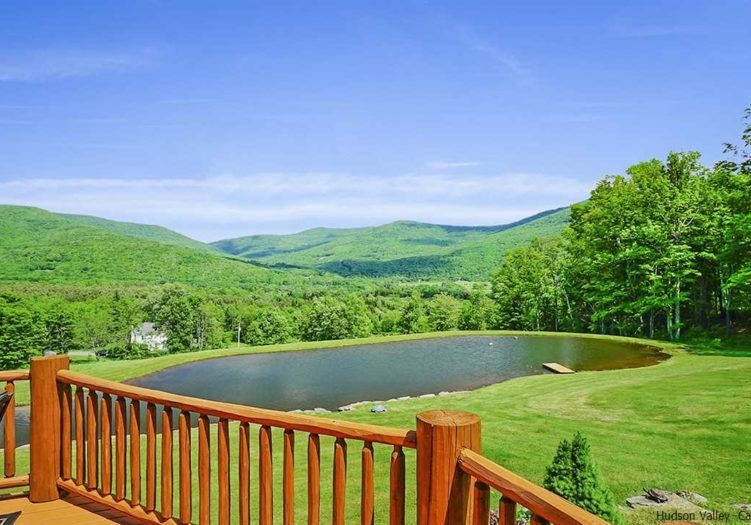 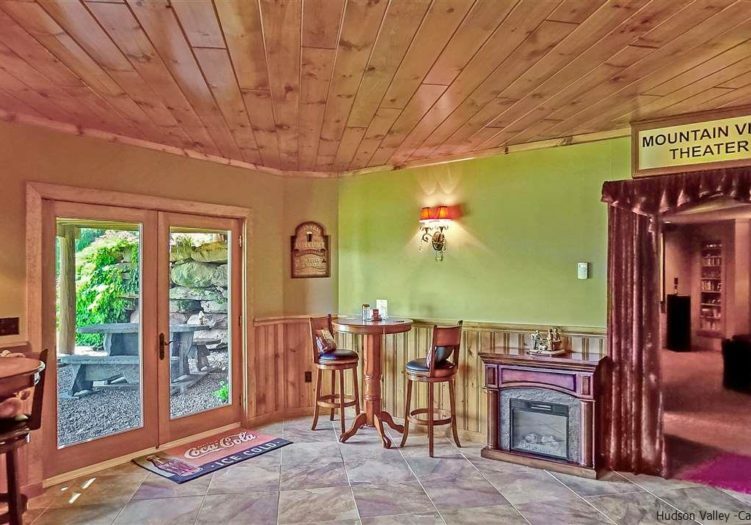 Sited on 5 manicured acres, down a peaceful town maintained country road, with panoramic views that are Awe-Inspiring. 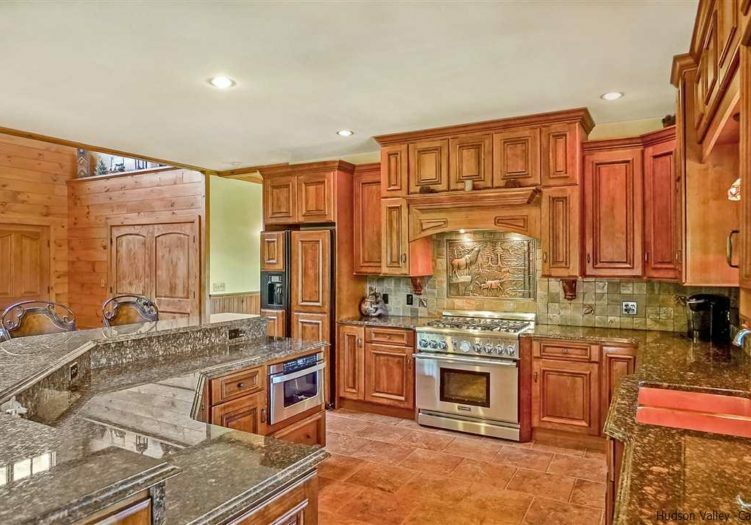 Create your meals in a kitchen that is sure to please any cook, off the kitchen is an expansive yet cozy great room with a cathedral ceiling and loads of natural light. 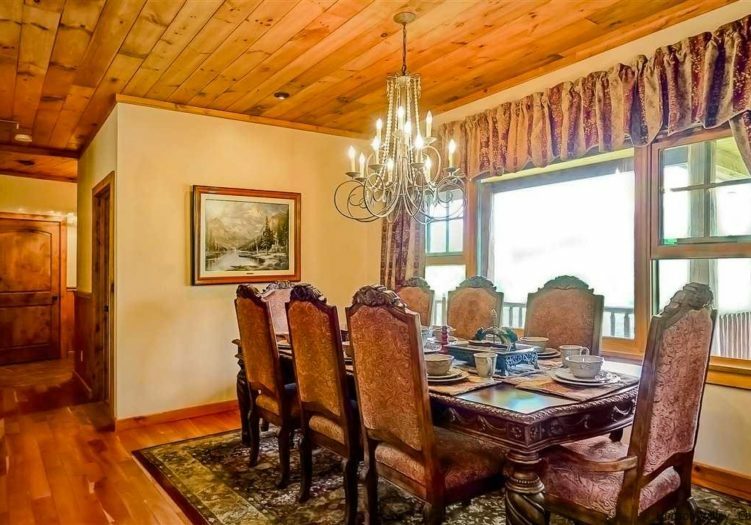 Enjoy your culinary creations in the formal dining room. 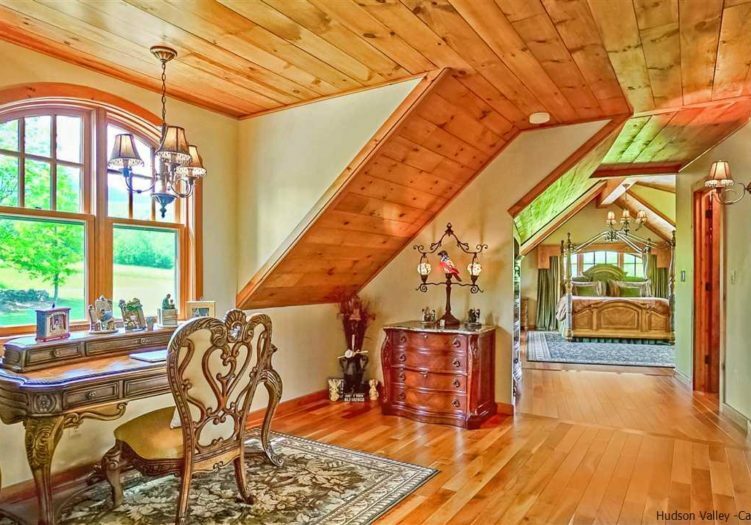 The American Cherry hardwood flooring throughout this home adds natural beauty and warmth to every room. 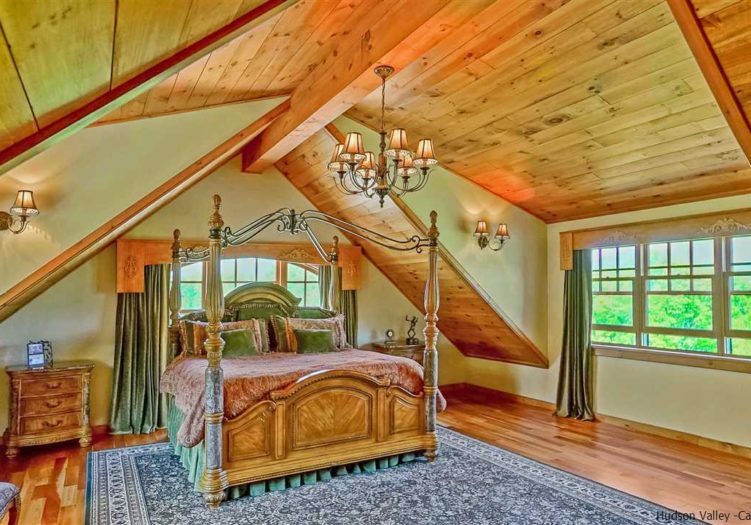 The entire second floor is a Master Suite unto no other, with 1500 sqft of space dedicated to it alone. 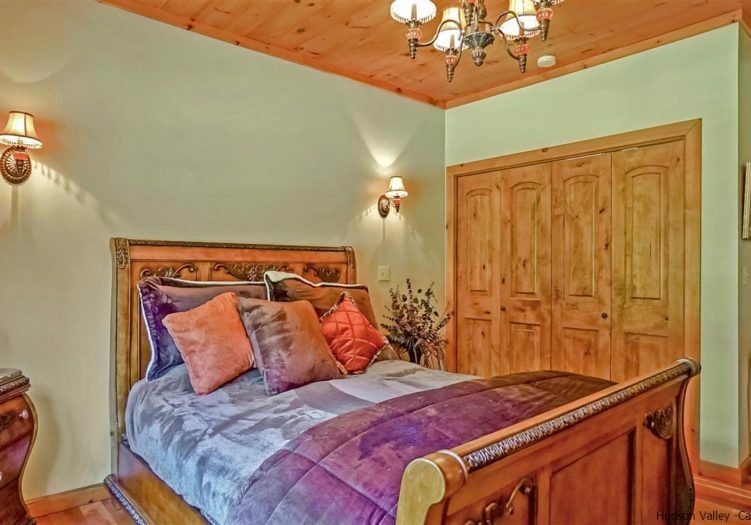 Master Suite accommodations include a lounge with views, a bar, office and two bathrooms. 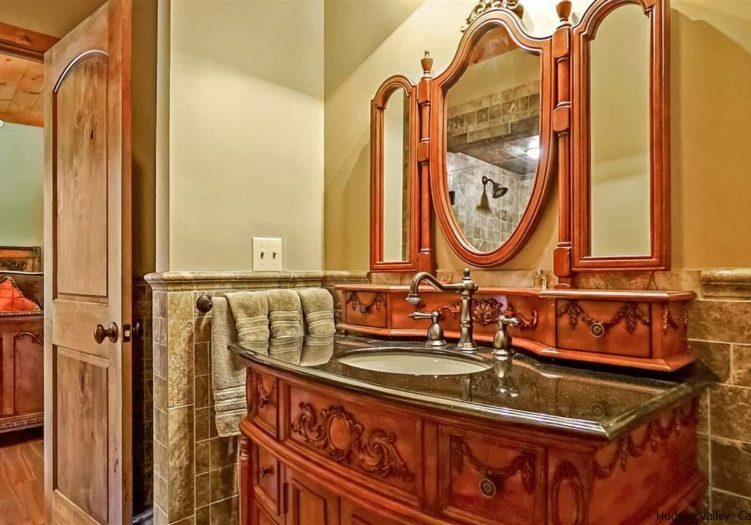 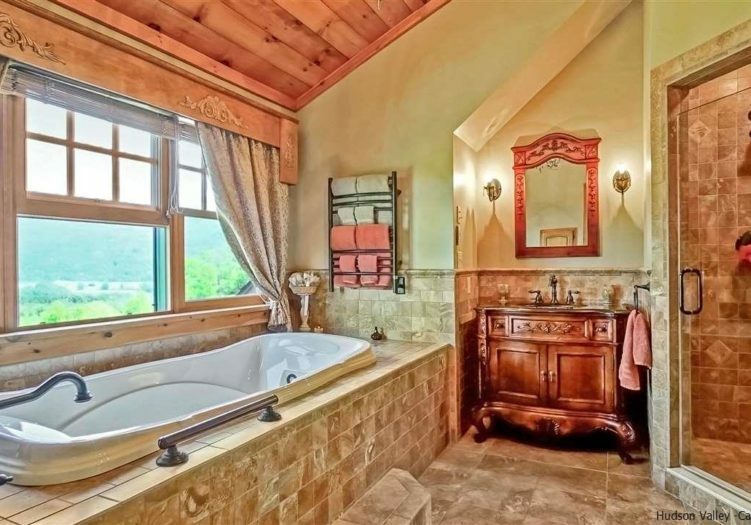 The master bath is equipped with a soaking tub with views that just may make your long soaks a bit longer. 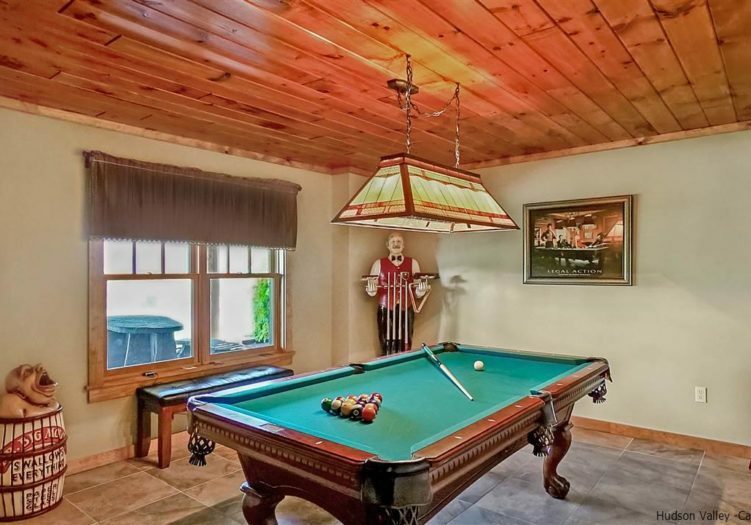 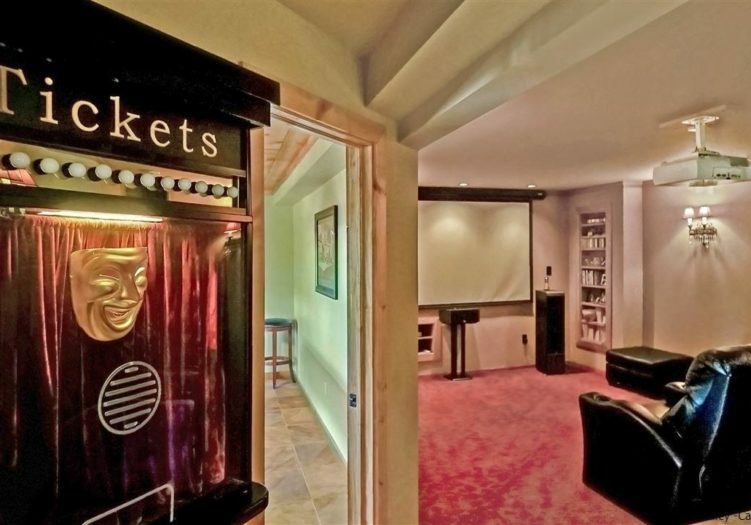 The lower level is designed for some serious indoor fun. 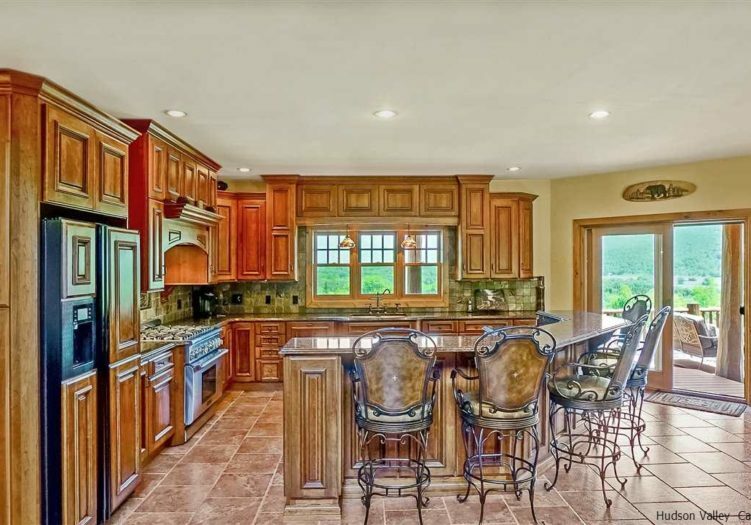 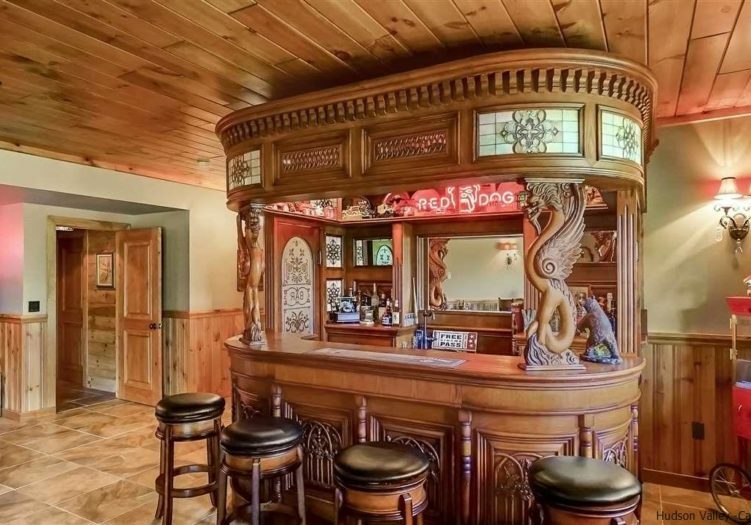 Gorgeous wet bar, a lounge area that walks out to a custom stone patio, a 6 seat movie theater and a billiards room ensure your guests will never run out of things to do. 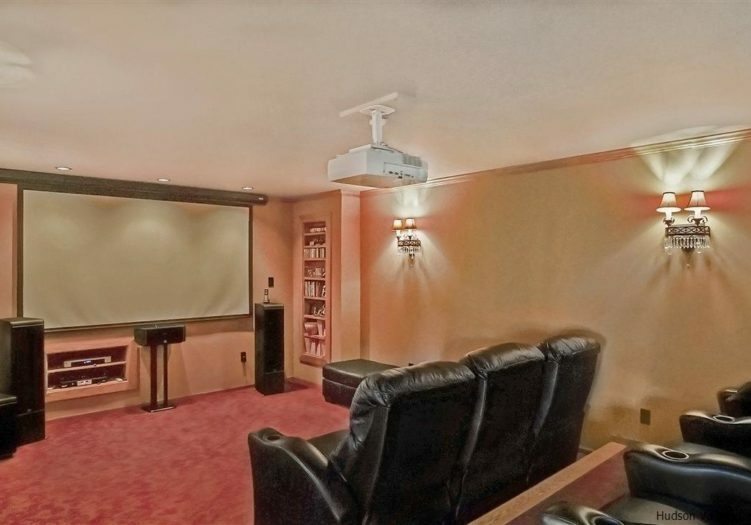 Stay connected to everyone when you are home with an intercom system that covers the entire interior and while you aren't enjoying this luxurious home, monitor what is happening with its state of the art surveillance system. 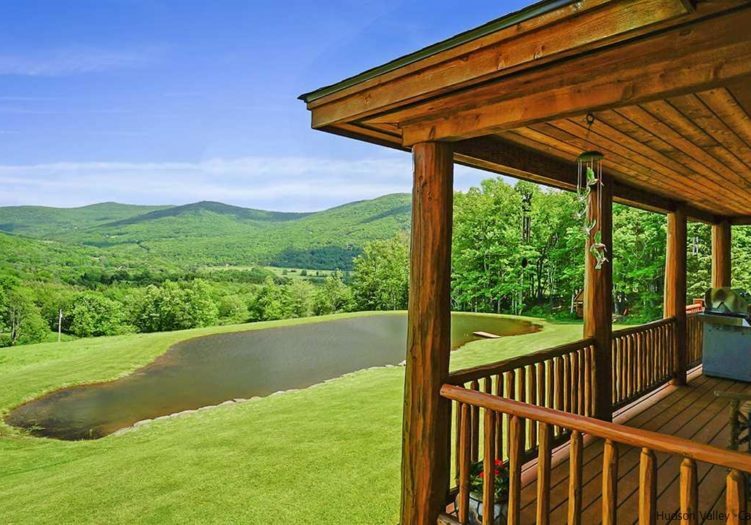 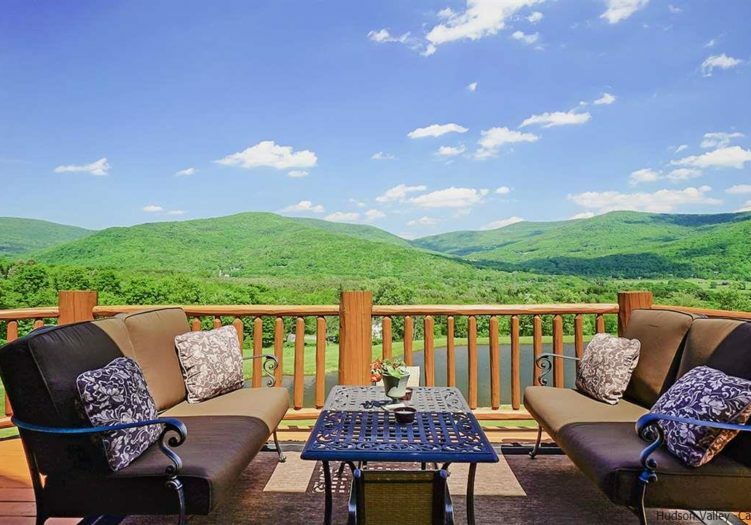 For outdoor relaxation, kick back on the ample deck space and be marveled by the views, or enjoy the two ponds, one stocked with Koi the other with Trout. 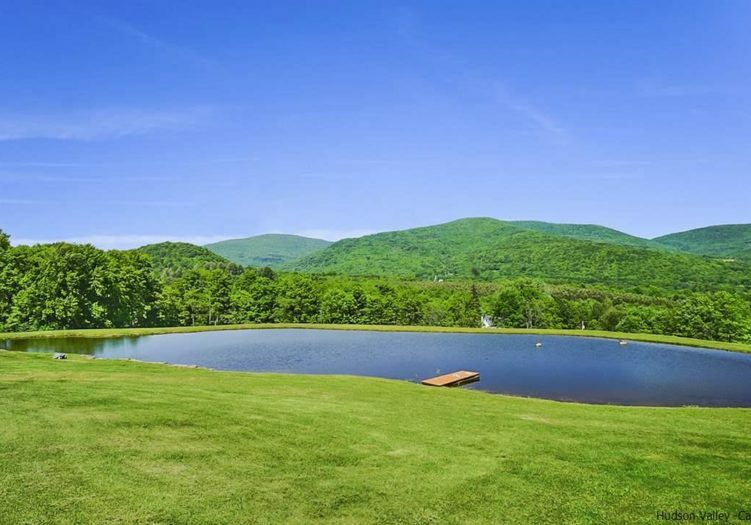 The trout pond is quite deep and swimmable. 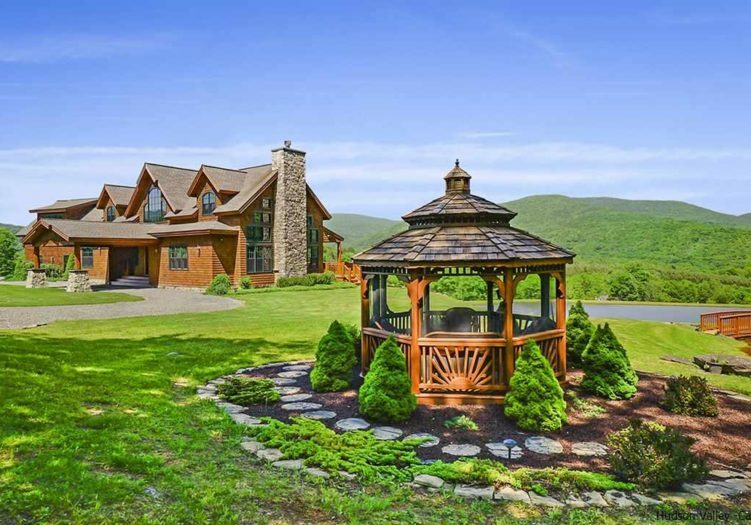 A screened gazebo, and out-building both with electricity as well as a hand-crafted stone lower level patio top off the exterior amenities. 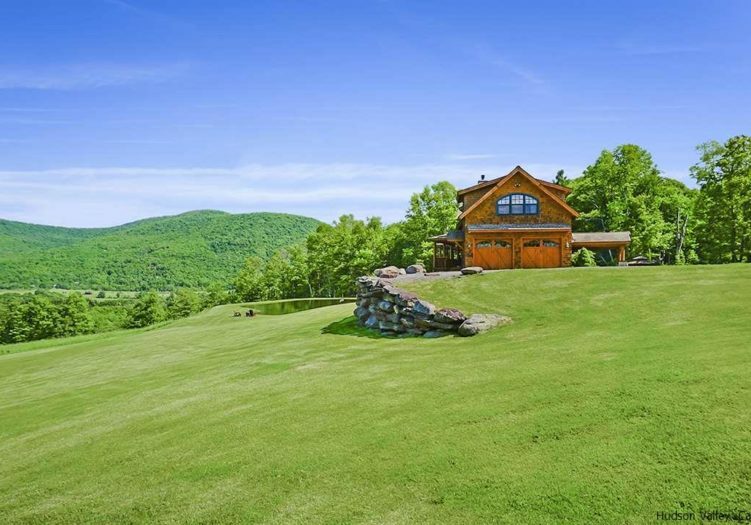 This property is minutes outside of the Trendy village of Roxbury and some of the area's best golf, skiing and attractions. 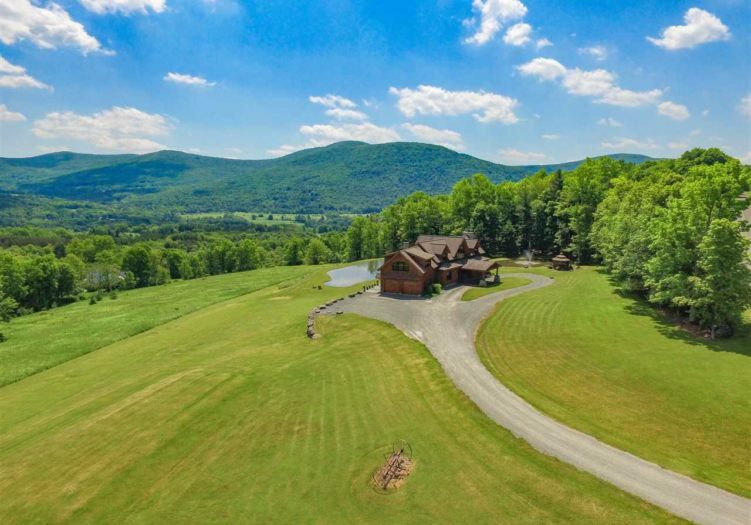 If you are looking for a home of the Highest Quality with views that are jaw dropping, located perfectly for 4 seasons of activities, then this property should be at the top of your list.